With respect, honor, and gratitude, Living In Fifties Fashion would like to offer a Veteran's Day salute to all of our service personnel. While the following fashion designers may not have seen actual combat, their patriotism is evident in their contributions. 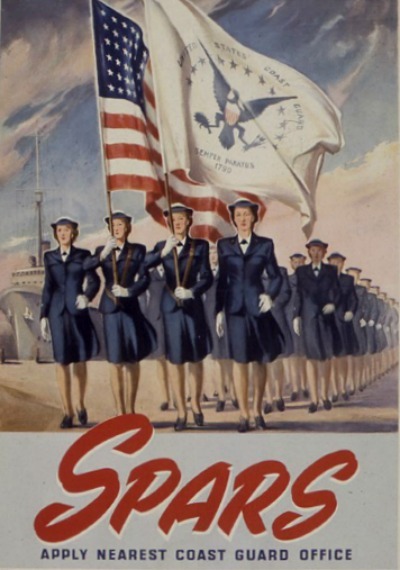 United States Naval Reserve (Women's Reserves) or better known as WAVES, an acronym for Women Accepted for Volunteer Emergency Service and The United States Coast Guard Women's Reserve or SPARS uniforms were designed by the well-known haute couture designer Mainbocher. 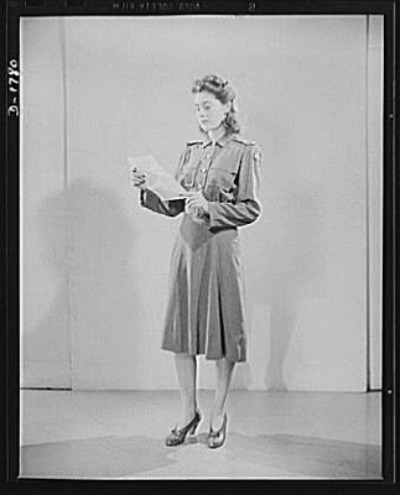 The women enlistees reported the uniforms were well made and very comfortable. 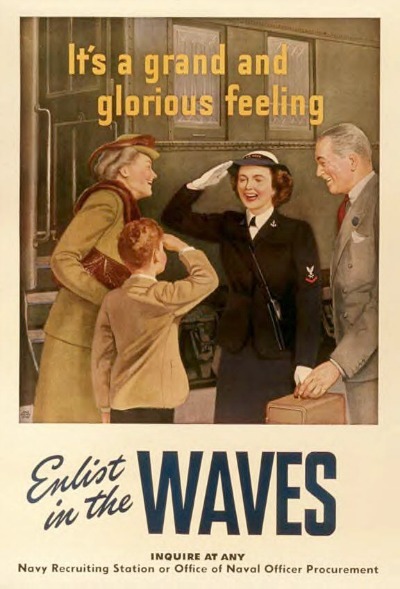 Government guidelines for fabric rationing during WWII led to Hattie Carnegie's redesign of the Women's Army Corp or WAC uniforms. Mindful of the restrictions yet wanting to maintain a stylish look, Carnegie insisted the skirt lengths be just below the knee. 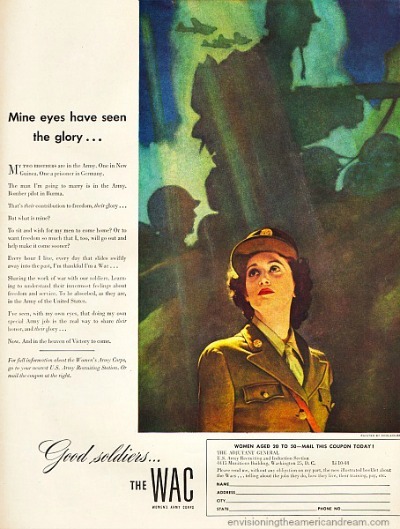 A pink dye was introduced to the fabric, giving the drab olive uniform color a flattering rose glow. Carnegie set the insignia pin to the side making it fashionably chic. Carnegie was awarded the Congressional Medal of Freedom in 1952 for her war efforts. 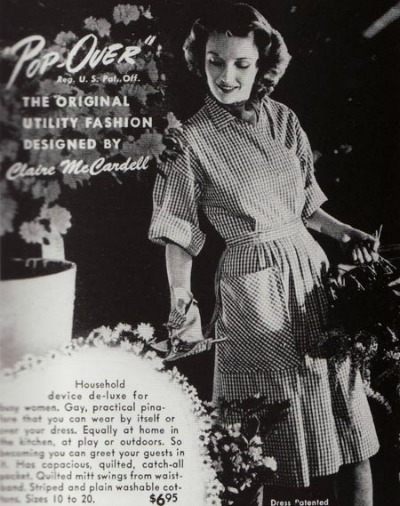 Making use of the fabrics that were not rationed, Claire McCardell showed her loyalty by utilizing government surplus cotton weather balloons and the readily available blue and white striped mattress ticking to fashion utilitarian yet comfortable clothing for the American housewife. 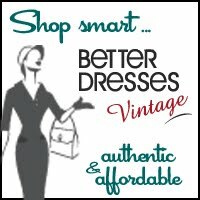 Cotton being her fabric of choice, McCardell used cotton plaid to make trendy evening dresses as well as sturdy denim for sportswear. 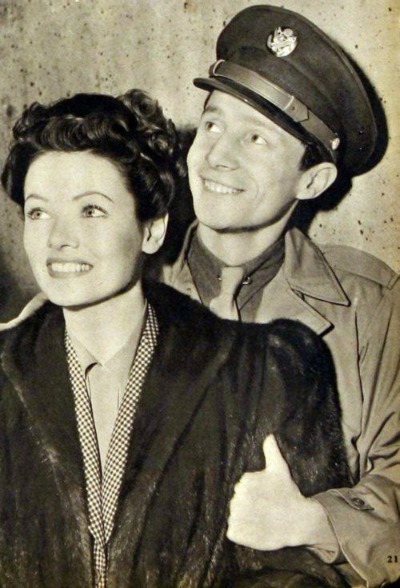 With metal rationing in full force, she replaced zippers and snaps with wrap-style dresses and sashes. Her Pop Over dress was wildly popular. 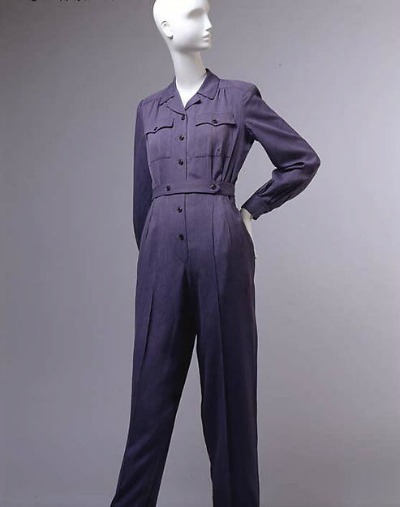 This "Rosie the Riveter" jumpsuit designed by Vera Maxwell allowed the women who were replacing the enlisted men in the war industry to wear a practical yet attractive ensemble. 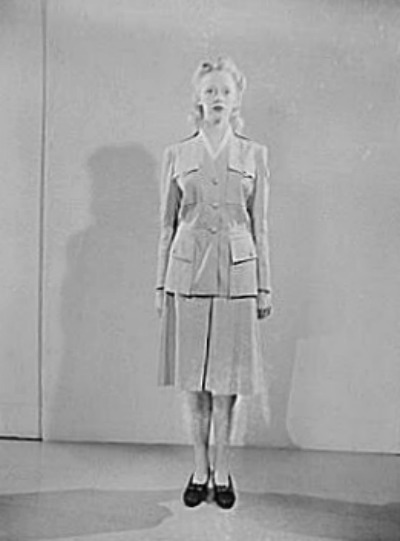 Bonnie Cashin's Women's Civil Defence uniform designs show her appreciation for protective and comfortable clothing. 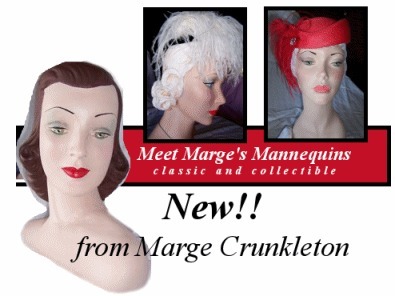 This would carry over into her post war designs. After becoming a U.S. citizen in 1942, Oleg Cassini initially enlisted in the United States Coast Guard. He would later serve in the U.S. Army Cavalry commissioned as a First Lieutenant at Fort Riley, Kansas. He served five years in the cavalry before returning to the fashion industry. Thank you to all of our military men and women for the sacrifices you have made for our freedom.